Preserving wedding gown is a very old trend that is embraced even by the modern-day brides. Brides who need to keep their wedding gown for years to come as a souvenir, should consider special “wedding gown preservation” process. 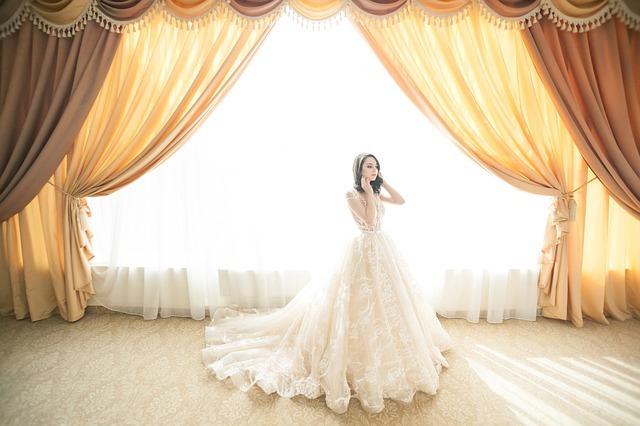 With that said, here are some important tips to consider when it comes to wedding gown preservation. Although this is a no-brainer, many brides just don’t read what’s on their wedding gown’s tag.The information on the label is exceptionally important and that isn’t place there for fun! After reading it, you shouldn’t neglect it; merely adhere to what they say. For instance, if it recommends a petroleum solvent cleaner, you should do so. Don’t postpone to start your wedding gown preservation process. If you intend to take it to a professional preservationist, you should to it as soon as possible. Some brides postpone this process until it is too late. Waiting up to two months after the wedding is not good at all. The stains on your gown can grow into huge patches and settle in the material during this time. So, the best practice is to take your wedding gown to a preservationist the next day itself. In general, after the preservation process, you will get your wedding gown in an airtight box. The oxygen inside the box will have replaced with nitrogen. This is to keep your wedding gown from visible aging and discoloration that occurs due to oxidization. Once the box is arrived, you should never break the seal. However, if you break the seal by accident, you should take it to a preservationist again and get it sealed. When you handle the gown, be sure to use a clean pair of gloves in order to avoid contamination. Make sure that your wedding gown is stored in a safe place that is cool and dark. Exposing it to heat and light will cause discoloration sooner than you expect. Don’t have it on a hanger as the weight of the dress can distort the shape. Don’t store your clothing in a regular bag that has the potential to hold moisture. Store your wedding gown in a plastic that is free of acidic substances. Wedding dress preservation is an entirely different process that is specially carried out to preserve expensive dresses. A professional wedding dress preservation involves a cleaning process depending on the type of the stitches, materials used, details etc. very different from standard dry cleaning. Well, those are the five tips we intend to share with you!